Kala Kunj is a Non-Profit Organization, established to promote performing arts and cultural activities. Our mission is to keep cultural heritage of Gujarat and India alive in U.S.A. thriving though organizing events that may include plays, dance and musical productions, ballet, concerts, Kavi sammelans etc. Kala Kunj will provide platform to local talents as well as artists from India and other countries to present their accomplishments from ground-breaking new presentations to modern classics with highest artistic standards. Kala Kunj will be privileged if you join hands and contribute your artistic talent and views to enhance and advance our goals in presenting performing arts of high quality. 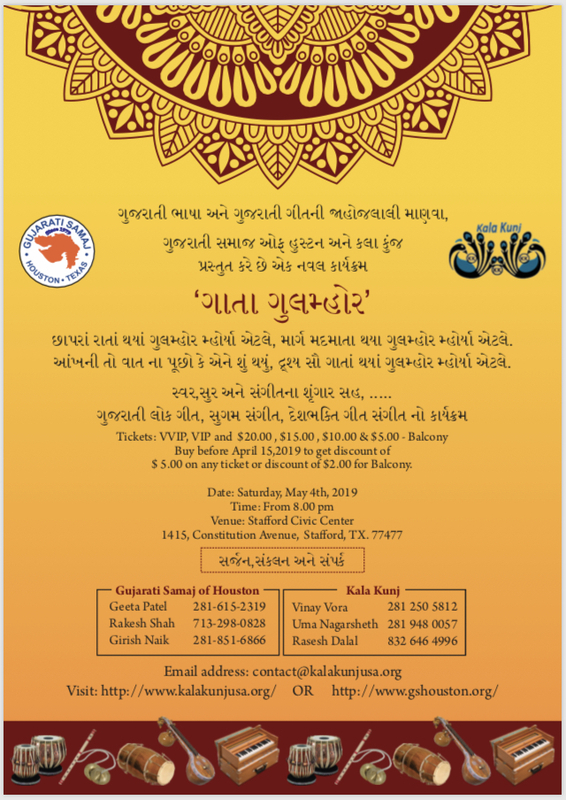 Kalakunj, the first ever Gujarati theater in the United States. All of our artists are migrant from the state of Gujarat and Maharastra in India. We all share deep love and affection for our language “Gujarati”. This entertainment group is in just another venture in on-going efforts to preserve the heritage and values of our culture, language, and legacy for our future generations growing away from our home land.